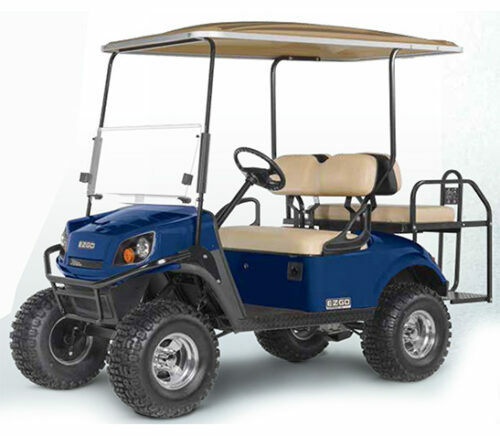 The Freedom RXV is a custom utility vehicle that has been built by E-Z-GO, optimizing style, comfort and space. The automobile comes with a powerful AC motor as also with a gas powered option. The Freedom RXV has accessories such as deep cup holders, contoured seats as well as integrated cup, ball and tee holders to provide you with an enriched golfing experience. The Freedom TXT is a custom vehicle designed by E-Z-GO that comes with a powerful DC motor as well as with a 13.5 HP gas option. 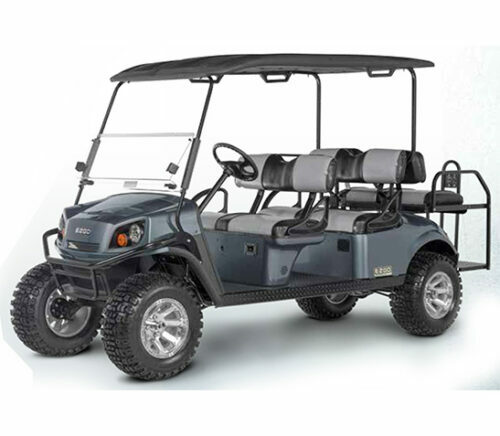 The spaciously built 2-seater has 18” turf tires, stylish signal lighting and ample storage space for all of your load carrying needs. The Freedom TXT comes with accessories such as a sun canopy, locking glove boxes as well as a cooler to help you cruise with comfort. The Freedom RXV 2+2 is a spacious 4-seater automobile that has a modern and technologically advanced design as well as a powerful motor that helps it reach a top speed of around 15 mph. The Freedom RXV 2+2 comes with multiple car accessories and features like a sun canopy, message holder, golf bag attachment and a convertible rear seat, providing absolute comfort all throughout the drive. The Express S6 is a 6-seater golf vehicle that comes with a powerful engine and a technologically superior driving system that lets you manoeuvre comfortably through rugged terrain just as well as the city roads. The chassis is elegantly constructed with powder-coated tubular steel and stylish as well as spacious interiors that break the myth that space often has to compromise with sophistication. 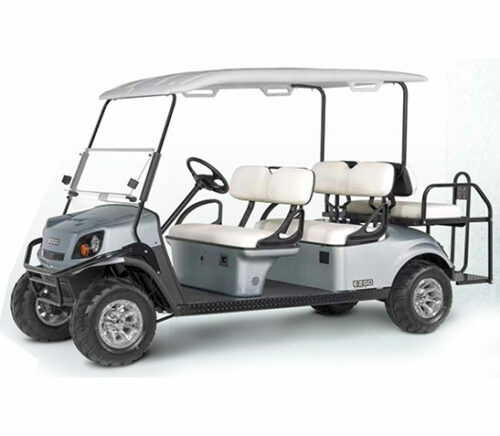 The Express L6 is a graceful and sturdy 6-seater golf car that comes with a shunt wound motor and a 48V DC electric system that makes your ride extremely smooth and comfortable. The car comes with hydraulic shock absorbers and stylish interiors as well as a host of add-on accessories to prep you up for an exciting adventure with your family or friends.